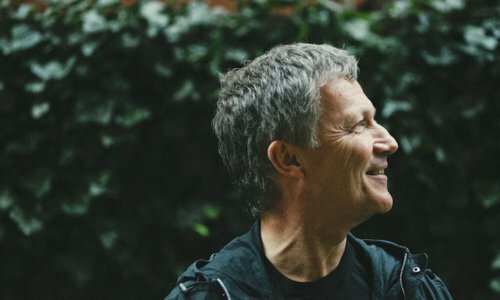 For many fans, musicians and critics alike the guitarist and multi-instrumentalist Michael Rother is a key figure of the innovative music scene originating from Germany in the early 1970s. His music has been inspirational for generations of musicians – from David Bowie, Brian Eno, Iggy Pop, DEVO, Sonic Youth, Stereolab, U2, Autechre, Radiohead, Primal Scream, and beyond. He was a member of Kraftwerk in 1971 and formed the legendary bands NEU! (with Klaus Dinger) and Harmonia (with Hans-Joachim Roedelius and Dieter Moebius of Cluster) before releasing nine solo albums. Rother ́s current live line-up includes Hans Lampe on drums and Franz Bargmann on guitar. Franz Bargmann is an ex-member of the Berlin-based band Camera. Hans Lampe contributed drumming on the album NEU! ́75 and was a member of La Düsseldorf. At his return to our stage, he will present the endless fast-forward type of music of NEU! as well as tracks by Harmonia and solo works. Opening the show will be fast-rising electronic producer M!R!M!.